MEGA bill - Where do I find the security number? Where do I find the security number? 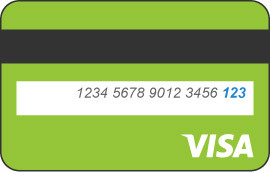 The security number is made up of the last three numbers in the signature box on the back of your VISA Card. The security number is made up of the last three numbers in the signature box on the back of your MasterCard.